We love a good bargain. And as well as a good bargain, we love a good trend. 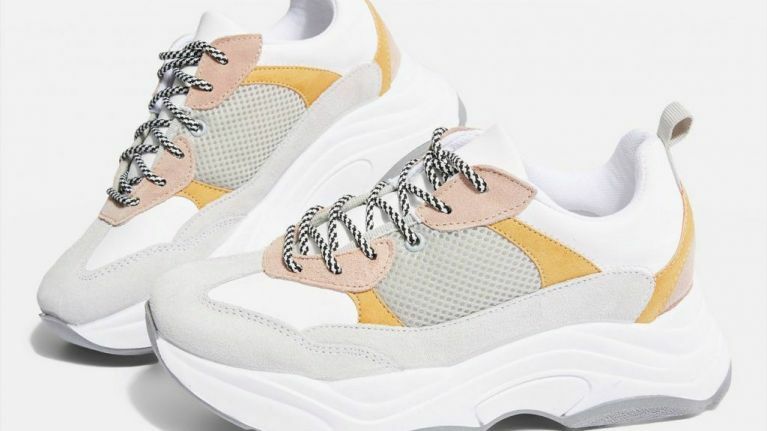 Chunky trainers were a major hit when they came on the scene last year, and it doesn't look like they're going anywhere anytime soon. With new releases hitting the high street left, right and centre they're going to be around for a while and we say they're also going to be major come festival season. Well, Topshop has reduced a whole range of chunky trainers to €20 (coming down from €52), so if you want to get in on the trend, now is the time to do it. The ones that are reduced come in a holographic design, as well as black and a dusty pink so you can really choose what you fancy. They also have white ones with a pink and yellow finishing reduced to €34 if you want to go for that. We are hopping right on the bandwagon and getting in on this trend now, and if you want to get in on it too, add those trainers to your cart right now before they all sell out. You can find the reduced trainers here.